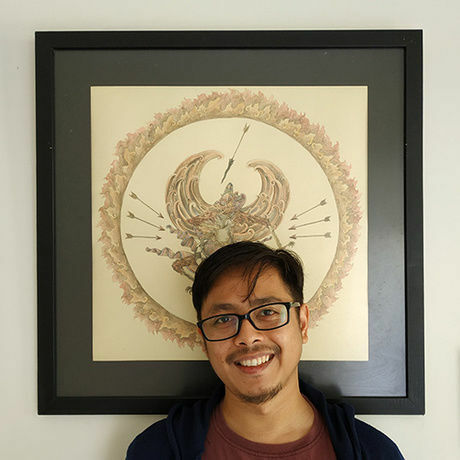 Sweta Kartika has been an artist for as long as he can remember. Since childhood, the world of art has served as his personal escape. To him, it isn’t mere penchant, it’s his whole life. Such fervor, fused with talent and diligence, have birthed many amazing works such as Nusantaranger, Wanara, and Pusaka Dewa. The act of drawing has given him a vessel to pour his imagination and enthusiasm–and most of all, his love for tradition. December’s theme is TRADITION Traditions are sacred because they cultivate consistency and a sense of belonging. It’s the bread and butter for fostering connection and community. We’re in a time where traditions are being challenged and remixed. We question how they came to be and the context in how (or if) they fit into the future. “This is just the way it is” is a statement of fear, not possibility. It undermines the human capacity to adapt and create change. Traditions are made by us, for us, so therefore they can be reinvented with intention and imagination. You may not start the next national holiday, but you can bring to the table your generosity, your kindness, your vision and heart to create a more welcoming future.